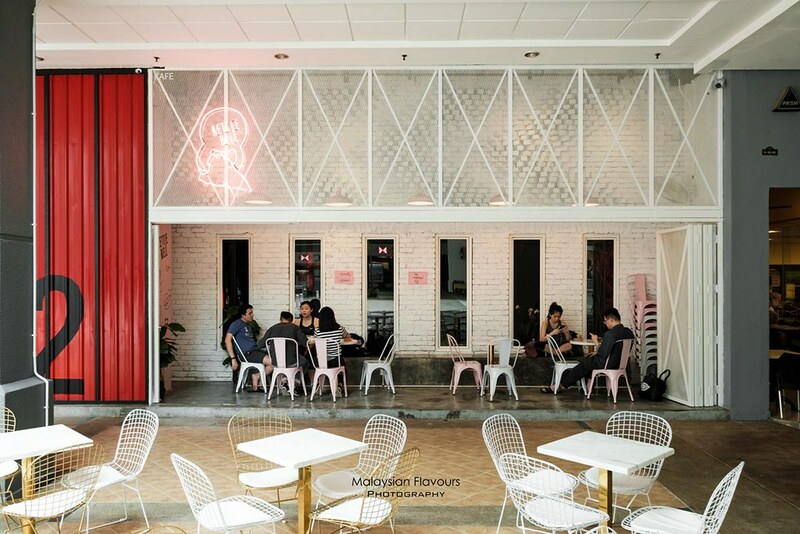 Kettlebell Kuala Lumpur, a new cafe in Plaza Mont Kiara that we got carried away by their Instagram-worthy white wall, beautiful brass chairs, dreamy pinkish serving plates with gold cutleries before visiting, and still admiring these details after checking this place out. But what impressed us more is their thoughtfully curated food – real wholesome ingredients and balanced nutrients, tasty at the same time. Fits well for post-workout, and even for people like us both – hardly exercise, not even running on a threadmill. Just some pathetic fast walking (*when we are almost late for work) and few floors of staircases to climb on daily, as what we call – E X E R C I S E. Lol. We do wonder why Kettle Bell, a fitness tool is used as the cafe’s name at first, but our doubt was answered right away once we reached. In fact, the name Kettlebell suits perfectly, because it is opened side by side with (*or partially within) a gym – the Firestation Fit 2 Mont Kiara! To be honest, Kettlebell isn’t a very big cafe. They don’t even have many “walls” to play with on the decorations due to their al-fresco style but this doesn’t stop them from being outstanding. 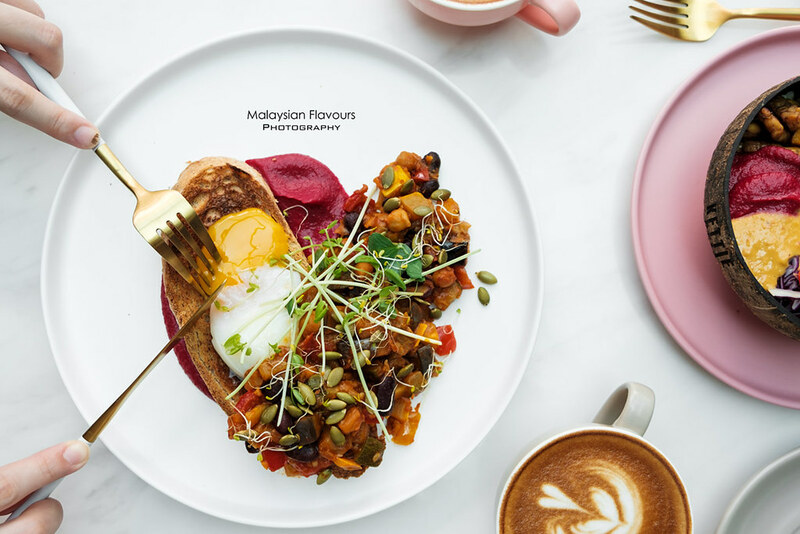 The chairs, the tables, the serving wares, the use of different textures, etc.. – they are pretty good in putting simple things together to make themselves noteworthy in the competitive pool of cafes in KL. 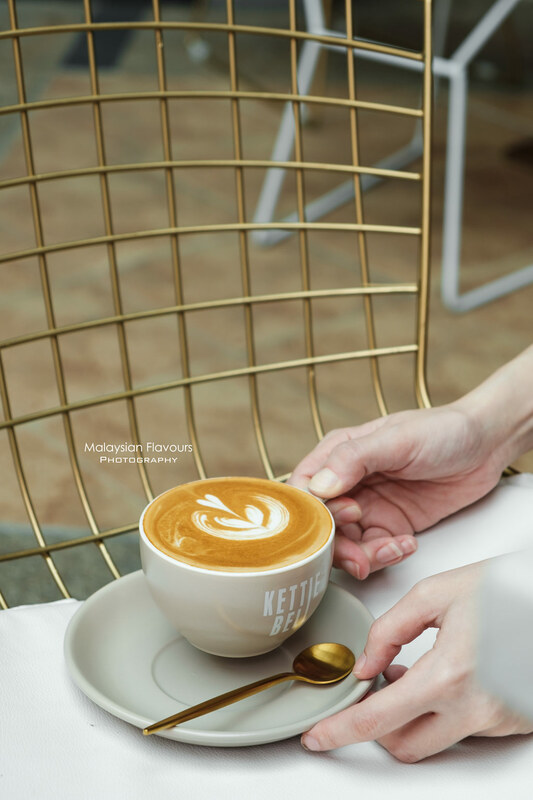 The better – a cup of cappuccino, latter, flat white, piccolo is only RM7. For black, a RM5 to keep your wallet happy while getting your much-need coffee fix. 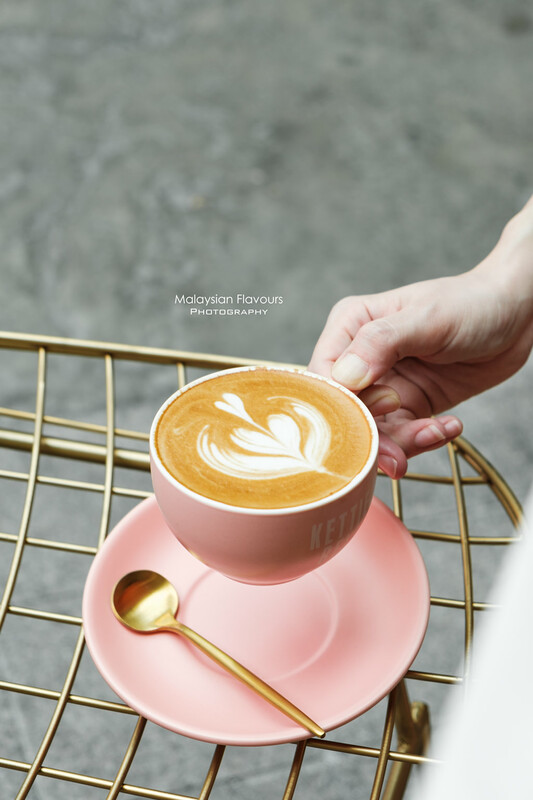 And yes, photography-first-all-time us like this cuppa with nice latte art, filled up in pastel pink coffee cup and saucer! 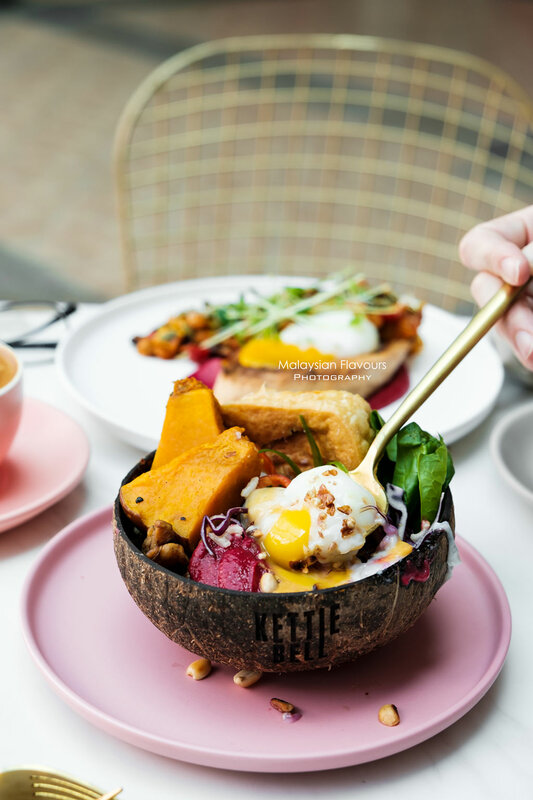 Kettlebell menu is still on soft launch stage, focuses on protein-packed dishes, vegan but doesn’t fall short in flavours. Lots of effort going into the mix & match, loading good stuff like avocado, quinoa, chi seeds, beet root, hummus, alfafa, soy vinaigrette and more onto your plate. 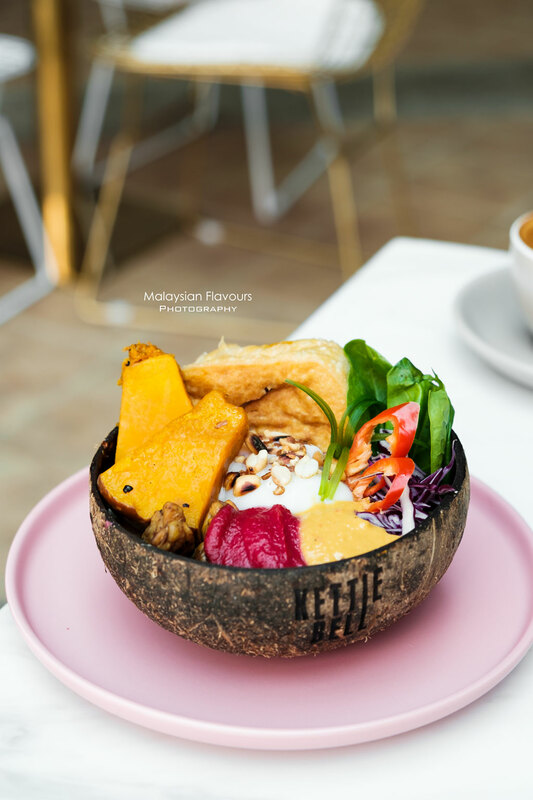 Fuel Protein Bowl – A colourful mix of tofu, tempeh, egg, spinach, spring onion, chickpeas, roasted pumpkin, roasted peanuts, red chilli, red cabbage and soy vinaigrette, topped healthy brown rice in a hollowed coconut shell. Do not underestimate how far the content can fill up your stomach, as it is a really filling dish. We were literally struggling to clear the bowl towards the end. Lol. Summerkid is never a fan for vegan meal but he ate everything in the “coconut shell”, including the pumpkin he usually hates. Surprisingly he said the roasted pumpkin tasted delicious – it i afterall. 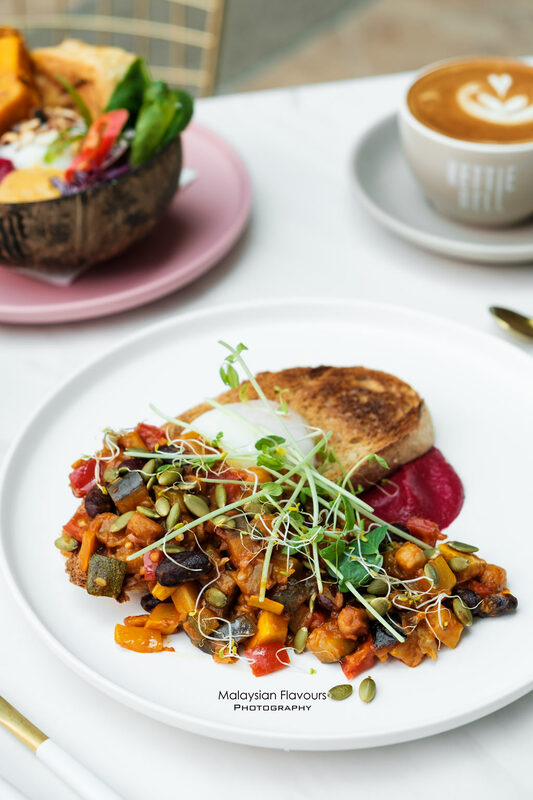 Fire Caponata – roasted pepper, eggplant, zucchini, beetrot, hummus, 63 degree egg on wholemeal toast. Equally lovely especially the eggplant, zucchini and roasted pepper combi. Quite ideal to go with pasta, or maybe some wheat noodles. Other food on Kettle Bell menu includes Quinoa Heaven – kale, trio colour organic quinoa, egg, green beans, sweet peas, edamame, cherry tomatoes, red pepper, hummus, smoked paprika parmesan, balsamic olive dressing; Avo Good Day – smashed avo, eg, beetroot, cherry tomatoes, sweet corn, lettuce, spicy tomato salsa, wholemeal toaste; Three Bean Chia Seed Salad – salad leaves, edamame, red kidney beans, sweetcorn, broccoli, lettuce mustard tarragon dressing. Price is within RM20. Add few more bulks for additional sous vide chicken breast, hard boirl egg, wholemeal toast, quinoa, brown rice, avocado, 63-degree eggs. Overall review: Recommended. Nice food, coffee and ambience. 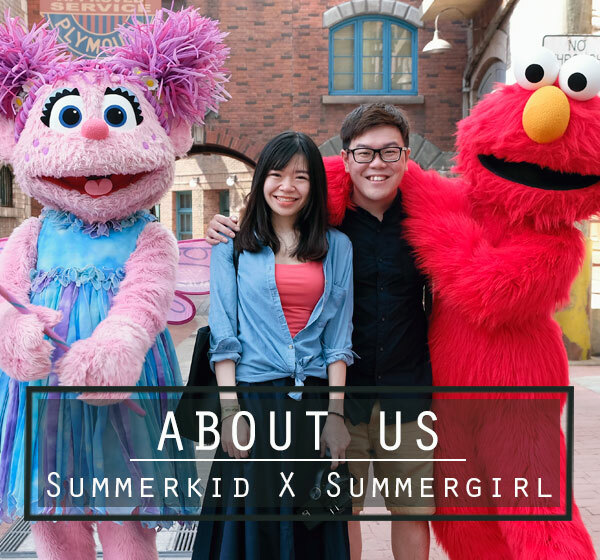 Staffs are really friendly, awesome service. They even asked if we want warm water or iced water. When we requested for iced, they really served in a glass of ice + a bottle of water at no charge, which is rarely come across in KL cafes.